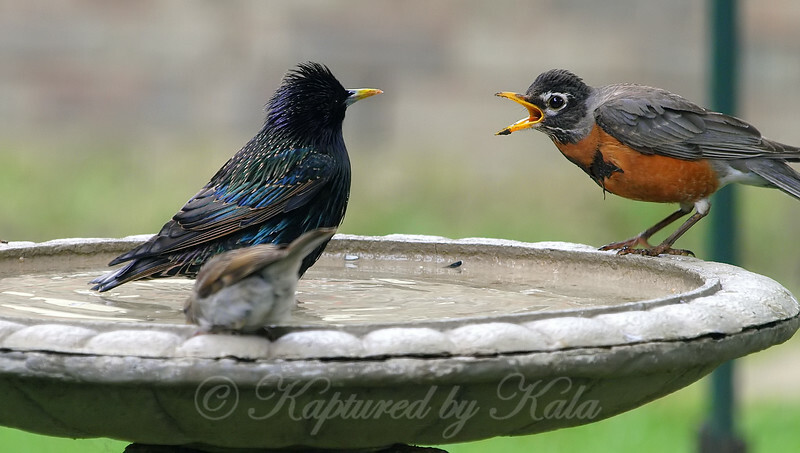 Get Out Of My Birdbath! This robin does not want to share. Both Robins and Starlings are aggressive but the Robin wins every time.